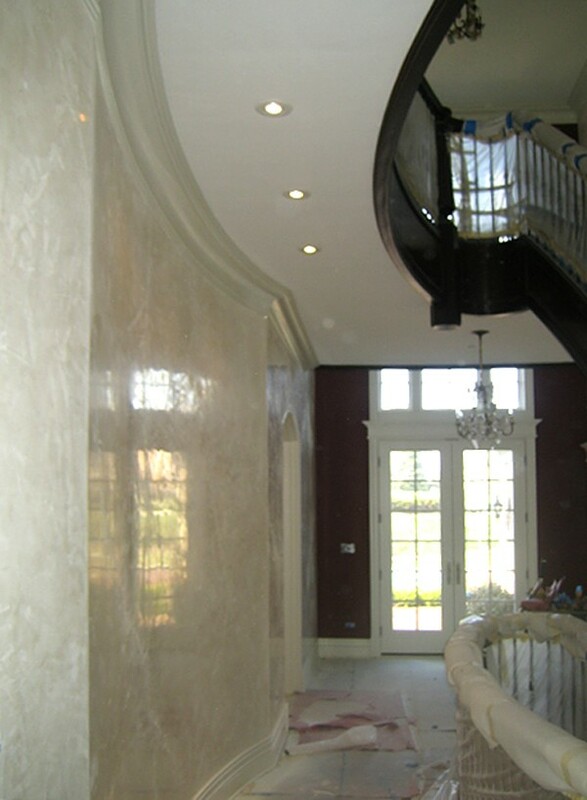 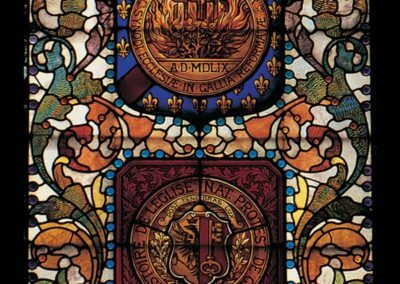 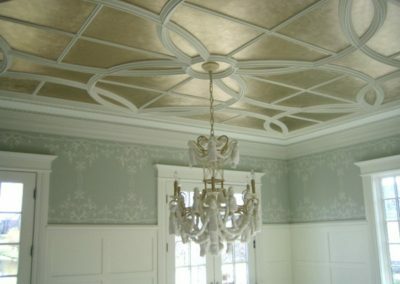 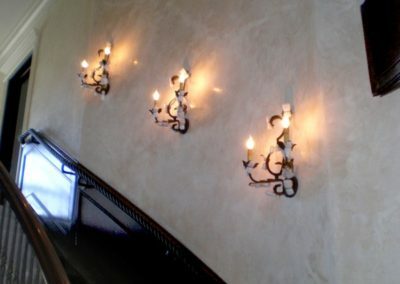 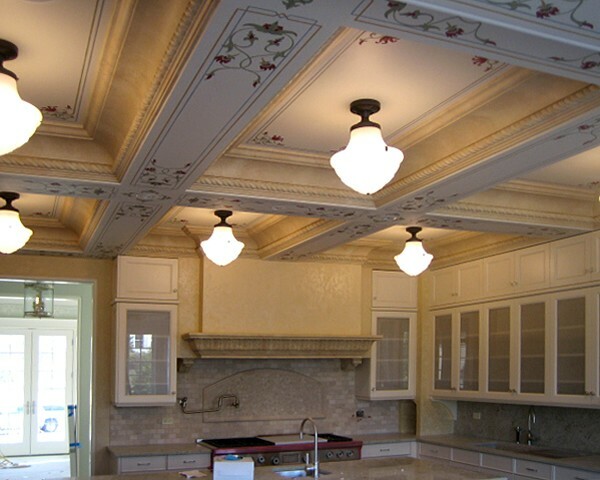 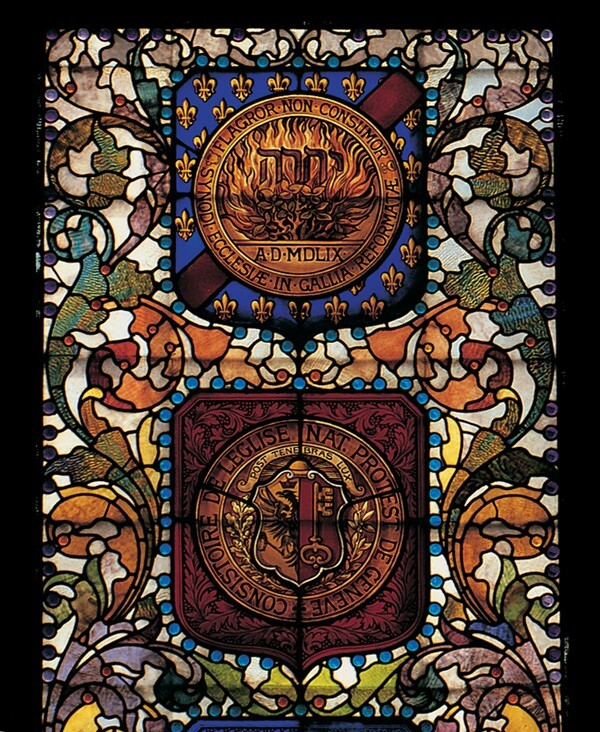 To receive the blank canvas of newly finished plaster walls and ceilings in a Burr Ridge, Illinois residence, and to paint and decorate them using multiple turn-of-the-century craftsmen techniques. 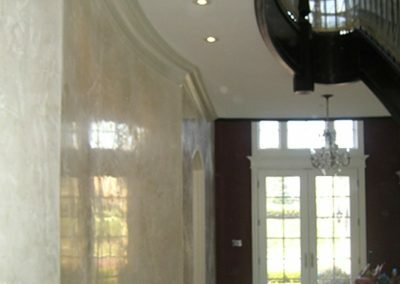 The rooms includes the kitchen, family room, lounge, dining room, master bedroom and staircase. 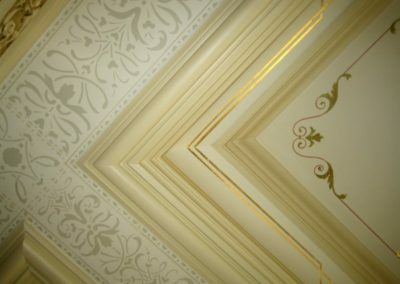 With the knowledge of the planned finishes on the floor and wainscot, CSS began by executing samples in each room for the owners to review. 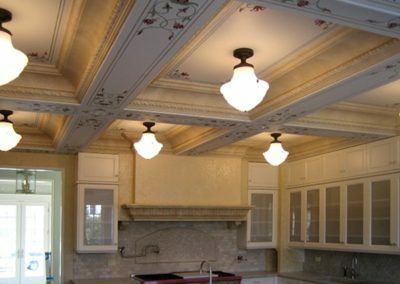 Modifications were then made with adjusted colors, tones, values, chromas and sheens based on the owner’s preferences. 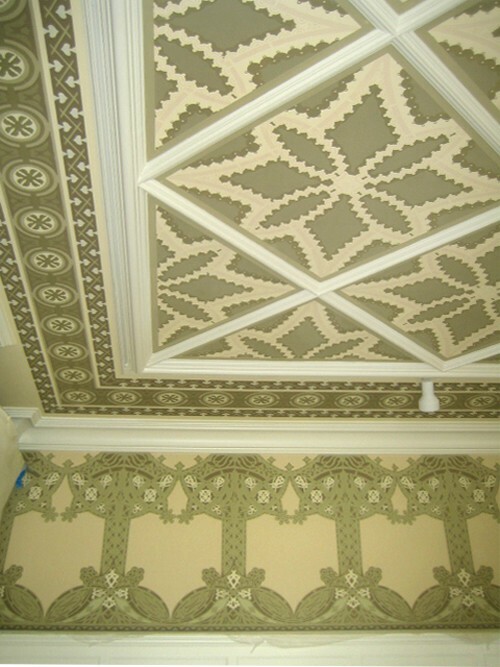 After the study of the works of American architect Louis Sullivan, many of the stencils were based on his style. 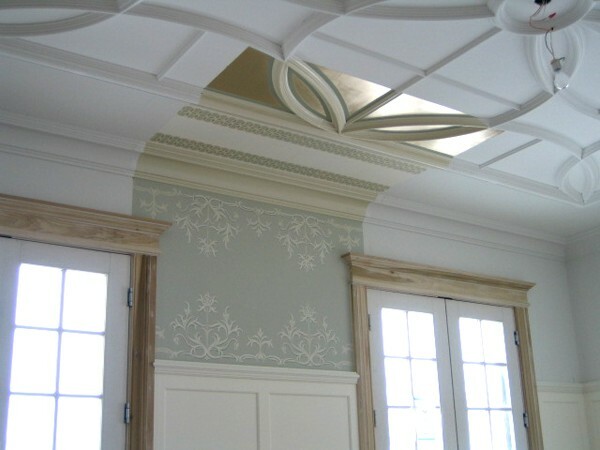 Working closely with the owners, it was determined when a one, three or five color custom stencil was desired. 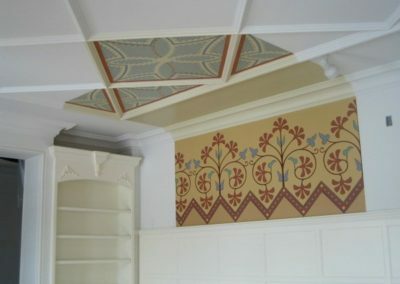 On the ornamental plaster ceilings, glazes, sparrow lines, gold leaf and stencils were applied. The ceiling of the dining room was gilded using 22kt Moon Gold. 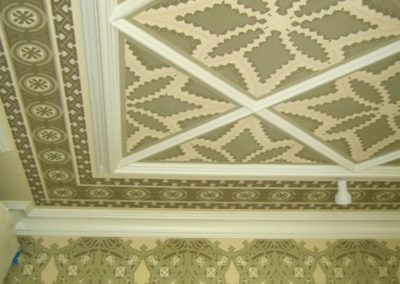 The master bedroom walls are now adorned with a large diaper pattern stencil, also from the Louis Sullivan School. 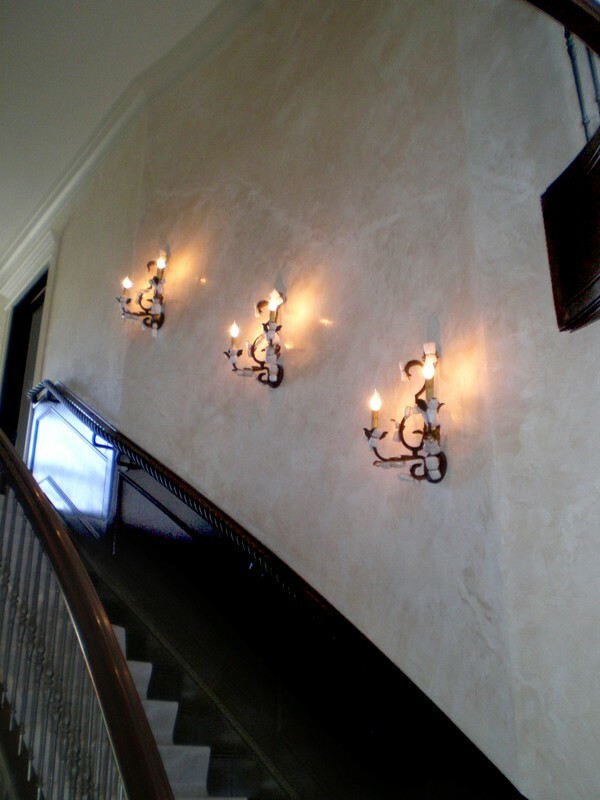 Venetian plaster flanks the hallway and stairwell, tying together the two levels of the ornate ambiance in this fine residence. 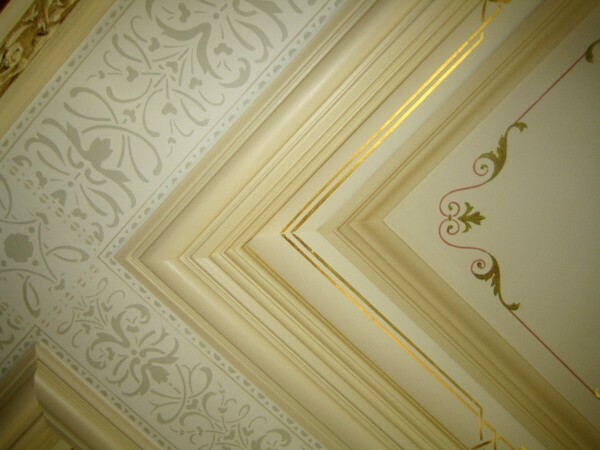 A decorative sample on newly finished plaster walls and ceilings gives a glimpse of the future.